While working on a computer it is hard to keep focus on work and sometimes it would be difficult to finish the task right on time. It is just because of unwanted apps and programs that disturbing all the time by giving notifications. For instance, when one is doing some research work and you get some instant message from your friend on messenger then eventually your mind distracts and you will be start messaging. 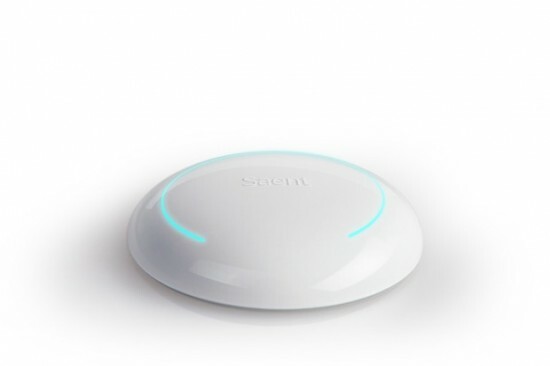 To avoid all that researchers created a device called Saent, which is a Big White Button and can be connected to your system via Bluetooth. What this device does is by pressing the button a window appears that starts disabling all the unwanted apps and programs for 30, 50 or 90 minutes. The interval options in the device works on the Pomodoro Technique i.e. for setting 30 minutes timer means 25 minutes working time followed by 5 minutes break. The time countdown is shown by the progress bar which some folks will not agree because it can also be considered as distraction. The function of the device go beyond its target as it also acts as a gesture controlled device which is able to swap between apps. Saent is still an Indiegogo project which needs your funding to accomplish the goal, however, understanding the importance of the device its early Super Bird package has already been sold out and your further support will help it to make more popular among the all the computer user.